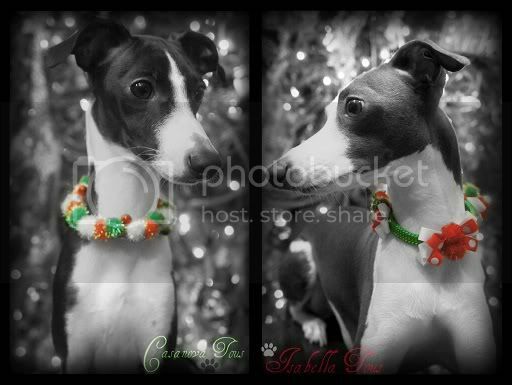 SS gifts shipping out this week - IGW's 2012 Secret Santa Gift Exchange - "IG Whispers" Italian Greyhound Forums! Look at all those beautifully wrapped gifts! I can't wait to see who the lucky pups are! Such pretty pretty gifts!! Several IGs... Hmmm... Can't wait to see who it IS and what's INSIDE that wrapping paper! Look at those adorably wrapped gifts! I have some very sweet IGs right here! I have 4 very sweet girls here! I love the paper! wow! those pups are gonna be so spoiled! Wow!! That's a tall pile!! Hope it's us!!!! Oh My Goodness! That's a yummy looking pile of goodies! Hmmmmm, I have two of the sweetest IGs right here! Well we are counted out!! Mine aren't sweet, so it isn't for them....LOL!! Nino is a whiner and Zeta is a little brat!!!! HAHA!!!! That is awesome paper, I never come across paper like that.